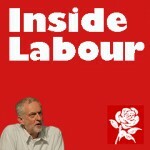 At the CLP meeting that elects your conference delegates, it is likely that nominations for candidates for Labour’s 2017 internal elections will also be considered. There are two elections this year where CLPs can nominate candidates. The following candidates support the Party leadership and are being backed by the Centre-left Grassroots Alliance and the Campaign for Labour Party Democracy. It is vitally important to the left in the party that the following candidates are elected. You can help by securing nominations for them from your CLP, and in the case of the NCC, ensuring your conference delegates vote for them. The Conference Arrangements Committee (CAC) has a crucial role in influencing the running of conference, and therefore requires candidates who will represent the wishes of members. The election for these reps will be by a One Member One Vote ballot this summer. The NCC handles disciplinary procedures within the Labour Party. The election of these reps will be by CLP delegates at the Annual Conference in September. It is good to get in early with campaigning for left candidates for key position. What is not so good is to have candidates put before us without telling us by whom and how they were chosen and without any information on or from the candidates as to why they are standing. Is this basic to the democratic process? I second that emotion david. And me. We all remember the “Left slate” for the NEC. I still grudge giving Ann Black my vote, as do many others on the Left. And me. Next time around I won’t be voting for Ann Black nor for Momentum-destroying Christine Shawcroft. Nor for the JLM supporting Rhea Wolfson. Yep, no way I am ever voting for Ann Black again after she failed to stand up to the subversion of democracy by McNicol & Co last year on the NEC during the PLP coup attempt and the plan to keep Corbyn off the ballot paper by going along with McNicol’s wheeze that NEC members who are *delegates* and supposedly accountable voting secretly and then her claiming that this outrage allowed “each of us to account to our constituents in our own way”. Never, ever again should Black be allowed anywhere near a left slate! John, I WILL vote for Ann Black next time round. I think that the animus against her is a clear example of why left unity is so difficult to obtain. She is held in high regard across the Party. She is is very committed and consistently hard working. If all elected representatives repoted back so reliably as Ann the Labour Party would be a much better party than it is. Not only that but she seems to answer all questions put to her (I wish I was as well organised and as efficient as that). I can think of no reason or evidence not to think that she is entirely honourable in all her judgements. And, to add to all that, she is on the left of the party. I haven’t always agreed with Ann but if you want elected representatives to use their brains then you must expect them to make decisions from time to time with which you disagree. There can be few people who think for themselves who have not found themselves in a position of disagreeing, on reflection, with their own decisions! So, cut Ann some slack and look at her long record of good work. Becoming hostile to such a consistent worker on the basis of disagreeing with one or two decisions illustrates the factious mentality that does so much harm on the left. Treating Ann Black as the enemy, despite her well-earned reputation across the party, rather than as a friend with whom one occasionally disagrees can only serve to push her away from the left and to show the left in a poor light. DP,a detailed leaflet setting all this out is on the way. Good, I look forward to that. But when? It is now six days after the announcement. DP,every candidate is writing their own piece for the leaflet.They are not all as quick as you-not all of them are retired like us.And some have major jobs in our Party eg CLP Sec.I think such a job would even cause you problems.Am in Copeland.Do you want me to book accommodation for when you come.What about the other mouths and trousers on the Comments? I’m surprised that ‘Newsdesk’ didn’t anticipate the response above. The problem, for me, being that the existing process looks anachronistic from a new members perspective where, centrally, there is an expectation of internal democracy. While acknowledging all the hard work put in by people in the background so that we have CLGA-backed candidates, an opaque process is very likely to be demotivating for new members – i.e. far more members would become involved – and vote – if the process was more transparent. As such, this looks like another example of an opportunity being lost. Yes agree will support these but would have been helpful to have had a statement from each. We should harness digital democracy. Same with our NEC slate but hope Ann Black’s not on it unless Ann can explain why she supported closing down CLPs but will vote for Shawcross if she is on it. We want facts and information about candidates before being told to vote for any slate, ideally we will also be told the resons why each candidate is on the that slate. Proposing candidates with no information about them, nothing by them, and no indication of who selected them doesn’t meet the most elementary of democratic requirements. I hope that at least one of the candidates will contribute to this thread to respond to the points made here. We need some openess on this. The lesson of the Soviet experience is that attempts to advance to socialism without democracy and open politics is a contradiction in terms and ultimately ends in disaster.